Supporting the communities we serve is a big part of The United Family’s core values and identity. Whether we’re supporting a local cause or donating our time to the community, if there’s a need we can meet, we’re always happy to help. We’re proud of our team members and their commitment to upholding our purpose as community supporters and advocates. Below you’ll find a few of our favorite stories of United Family employees going above and beyond for our guests. I would like to give a shout out to one of your workers at 4th and Slide. A young man named Abe always helps me out. He is very kind and goes above and beyond when helping me and my family. He is what makes United Supermarkets such a wonderful shopping experience. Keep up the great work! Suzan (concierge Team Member in McKinney) is amazing in every sense and I’m so grateful for her! I really, really appreciate all of her hard work for my daughter’s wedding. The United Family is always happy to hear when team members make guests feel like members of the family. A guest wrote in to compliment Sheri and the United Supermarkets #532 pharmacy team, "We have been using Sheri and her pharmacy staff for the past 10 years and absolutely would recommend them to anyone. They treat our children like their own and are always very caring." "Angie Clark is a Market Street concierge that gets it right. She helped me put my best foot forward for a very important meeting our company hosted last night. With her exceptional advice, Angie made my party tray look like near perfection." Requesting a Donation? Start Here. Please read through our donation request guidelines before downloading the appropriate form available below. Now, How Can We Help? Please select the appropriate form below so it can be sent to a regional or store support office for approval. The United Family is especially proud of our UCrew and A-Team volunteers. This outreach program connects team members to causes in the communities where they live and work.. 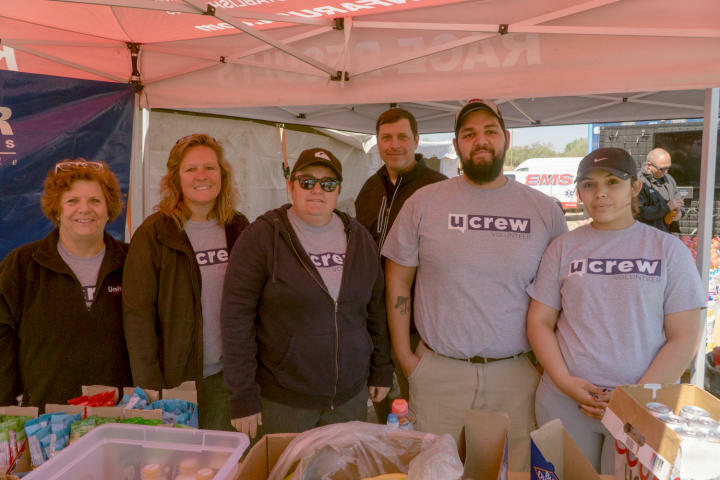 Since its founding in 2002, UCrew has donated over 60,000 hours of service to local charitable missions like getting involved in local food banks to fight hunger, cleaning up highways to improve their communities, and volunteering in local schools to empower and educate young students. Want to Request UCrew or A-Team Support? Simply make your request in-person at any United Family store or support office. Please submit your request at least three weeks before the scheduled event to allow time for processing and volunteer coordination.